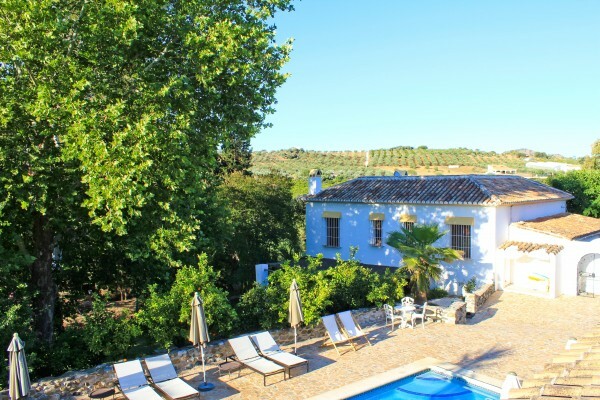 Bed & breakfast Hotel “El Molino Santisteban” is situated on the banks of the river El Rio Grande between orange and olive groves nearby the magnificent Natural Park Sierra de Las Nieves and the Moorish villages Guaro and Tolox. El Molino Santisteban is only 45 minutes from Malaga Airport and 25 minutes from the beaches of Marbella in the province of Andalucía. El Molino Santisteban is build in Andalucian style around a central courtyard with waterways and a fountain. All six rooms have their own bathroom and wonderful views of the countryside. 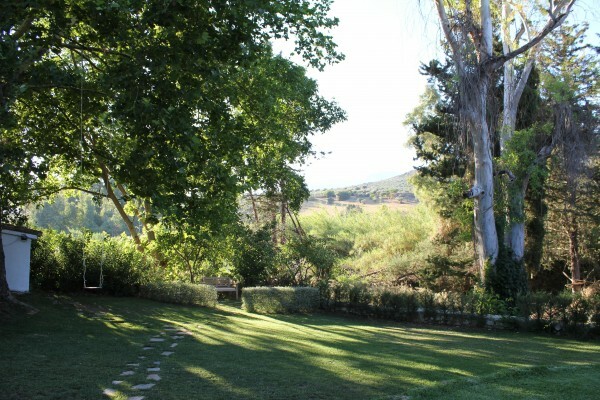 In the lush gardens are many shady and sunny places to sit and a swimming pool to cool down. At the background one can always hear the streaming water from El Rio Grande and the watermill. Along El Rio Grande and in the hill’s around there are numerous possibilities for walks enjoy the many bird species or encounter a tortoise. The honesty bar is always open and there is a fully equipped kitchen that can be used by the guests. 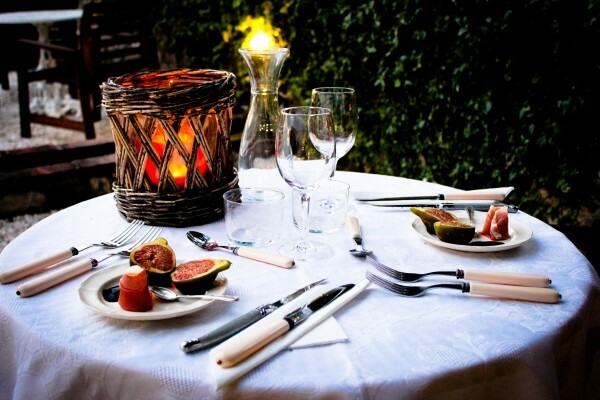 At night we serve a three course diner, outside at one of the terraces or in the dining hall in our watermill. With El Molino Santisteban as a base there are numerous cultural, sports and other activities possible such as a visit to the cities of Ronda or Granada, playing golf at one of the many courses on the Costa del Sol or walks and horse riding in the direct vicinity. El Molino Santisteban is very suitable to rent as a whole for groups of maximum 12 to 14 persons. 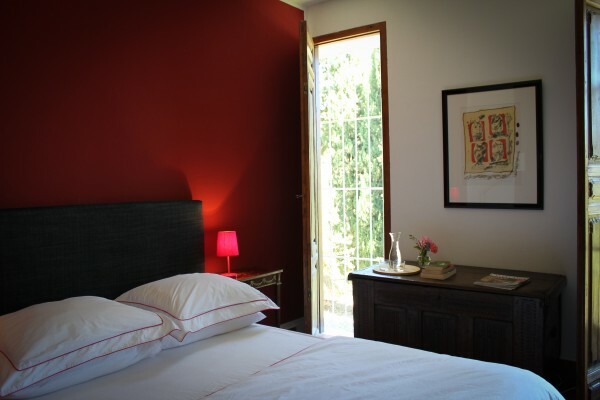 El Molino Santisteban has 6 spacious double/twin rooms. All rooms have their own bathroom with shower and toilet (two rooms also have a bath). The downstair rooms also have entrance to the garden and a small seating. The prices are per room and include breakfast and IVA(Tax). An extra bed is EUR 25 per night, extra baby bed is EUR 15 per night. Unfortunately we do not accept credit cards. In Guaro and Coín are several cash dispensers available. No experiences yet with El Molino Santisteban. Be the first! Did you stay in El Molino Santisteban? Let us know what you thought about it and help others to make the right choice! * I confirm having stayed in El Molino Santisteban. Find other bed & breakfasts in Guaro, Málaga or all bed & breakfasts in Andalusia.